Ron has been a resident of Austell since 1997. 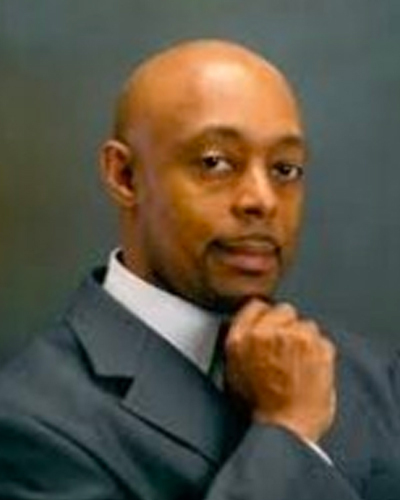 A native of Jackson, MS and a graduate of Jackson State University with a Bachelor’s Degree in Management, he has attended National University in Escondido, CA pursuing an MBA and most recently Georgia State University pursuing a Black Belt in Lean Six Sigma. He is also a graduate of the Cobb County Leadership Development Program and has served as a Public information Officer for the North San Diego County NAACP as well as Communications Chairman for the Cobb County NAACP. He and his wife, Floria, are certified Marriage Enrichment Facilitators and have helped conduct marriage workshops for numerous churches throughout the region for the past 16 years. Ron has an extensive background in the banking/finance industry and has occupied roles ranging from Credit Analyst to Senior Business Analyst. He is currently a member of the Austell Community Taskforce as Community Development Chairman and is also Ministry Coordinator of the Social Justice Ministry at the Greater Travelers Rest Baptist Church in Decatur, GA.